The Starry Bull maintains and identifies with the Orphic colours white, red and black, when combined together they make the sacred colour named orphninos, ὄρφνῐνος, “dusky dark”. But how did we come to this conclusion and what is their significance to our tradition, what are these colours? Colour theory has been a major study subject for my entire adult life. By trade I deal with colours every day. I need to know what’s in pigments, how it’s made and how long it will last because walking into this field without knowledge can not only be detrimental to my work, but also to my health*. Given my background and obsession with colour, when I’m presented with these sacred hues I’m quite curious to what they are made of, what colour they actually are and what they mean. I was first introduced to this colour scheme by Sannion, blog posts. Specifically he turned me on to a passage in the Orphic Argonautika which discussed these colours in the context of Orpheus’ ritual robes and a contemporary Bulgarian healing ritual where the following associations are given: black representing death and the impure, red for human action and white to symbolise heaven and destiny. In my own studies relating to street performance I’ve noticed these colours popping up in contemporary street shows. The traditions are derived from the modern circus which honours many of the symbols and colours from the Commedia dell’Arte, that in turn followed the customs of the Greek farce and theatre. 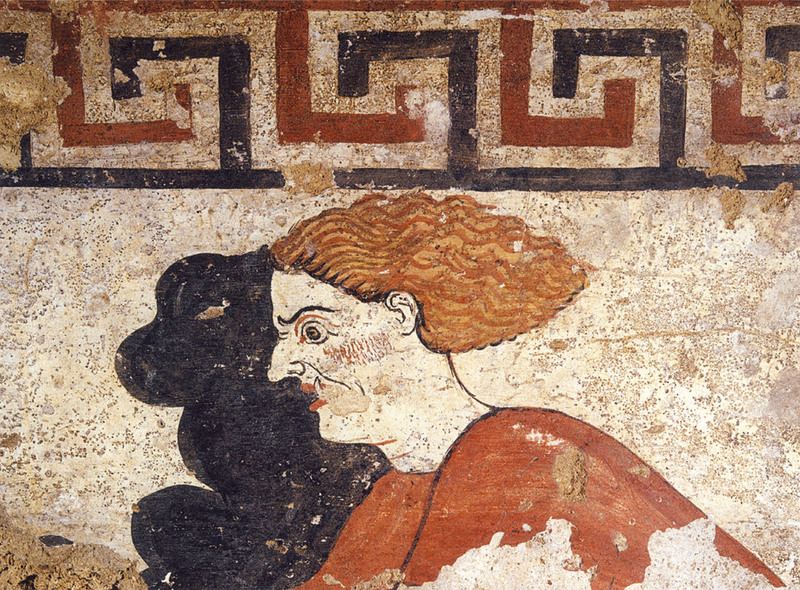 Throughout the history of theatre these colours have changed in meaning, but I speculate that they were first used on the theatre masks as red, black and white are the most present colours of the simplified face, e.g. like modern mime face paint. 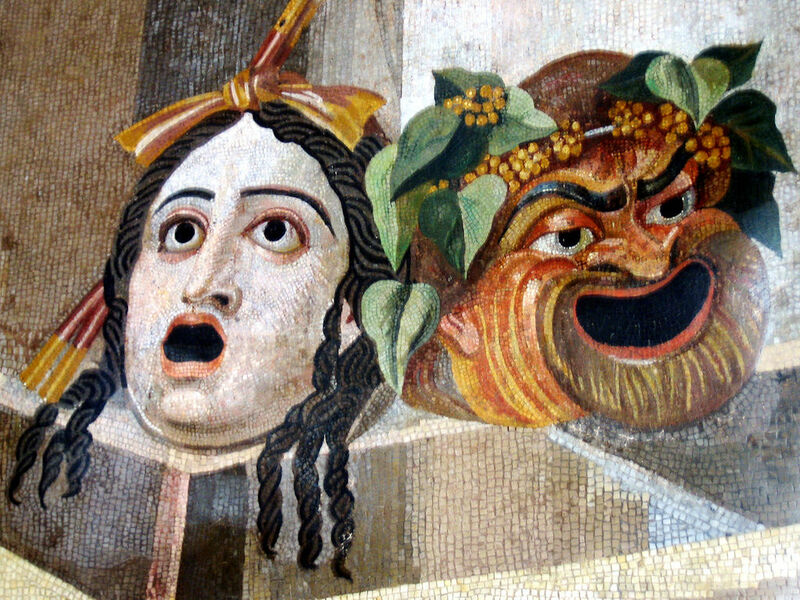 So through theatre alone we see the associations with Dionysos. If we look past the theatre and literature another source of colour associations is pottery, with literally thousands of wine cups, jugs and assorted earthenware decorated with these colours. Ancient Greek artists like Apelles also used a limited palette of these colours with just the addition of yellow ochre. If we consider the limitations of the ancients we can easily guess what red, black and whites were used and when we consider where each of these colours are derived one could point out that they directly correspond with Bacchic ritual sacrifice. So I propose that the actual Orphic colours are red ochre, ivory black and chalk white. By knowing this information we can closely reproduce the colour orphninos. All earth based pigments are derived from iron oxide (rust) this includes red sienna, yellow ochre, red ochre, brown umber, mars black and mars red, etc. The variation in colour is a result of exposure of certain other elements and conditions over millions of years or made in laboratories (mars colours). 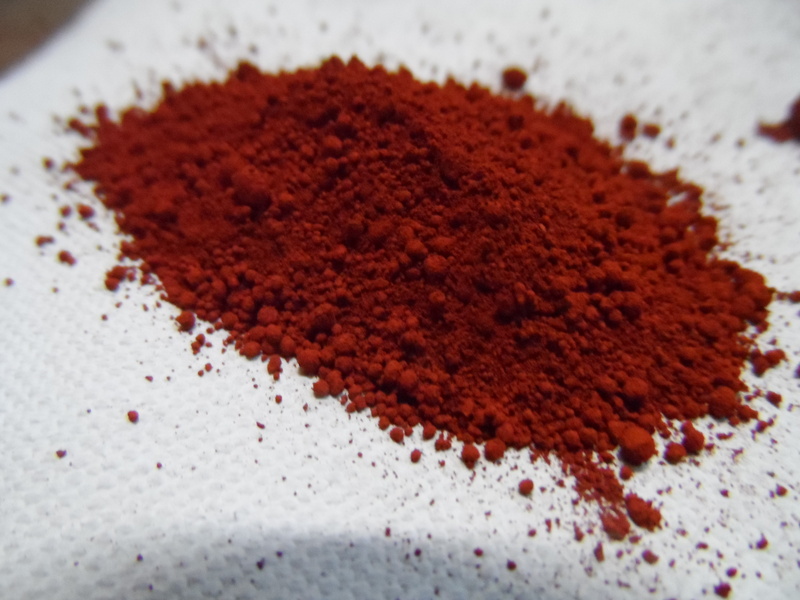 Red ochre is the most common of reds and the basis of soil on earth. It’s also a near colour of dried blood and made up of similar properties, no doubt the Orphics would have noticed the comparison between blood and the pigment, after all, when found naturally with chalk deposits it is called sanguine red. When bone is burnt it becomes a distinctive dark grey – near black, aptly named Ivory Black. This colour is the closest we get to literally being derived from ritual sacrifice. What’s more, there is a magical quality of the white bone becoming one of the darkest natural blacks. This is why I believe the Orphic black is Ivory black. Another potential and apt black is vine black which is made from stripped grapevines, in hue it is similar to Ivory black but sometimes has a cooler greenness. 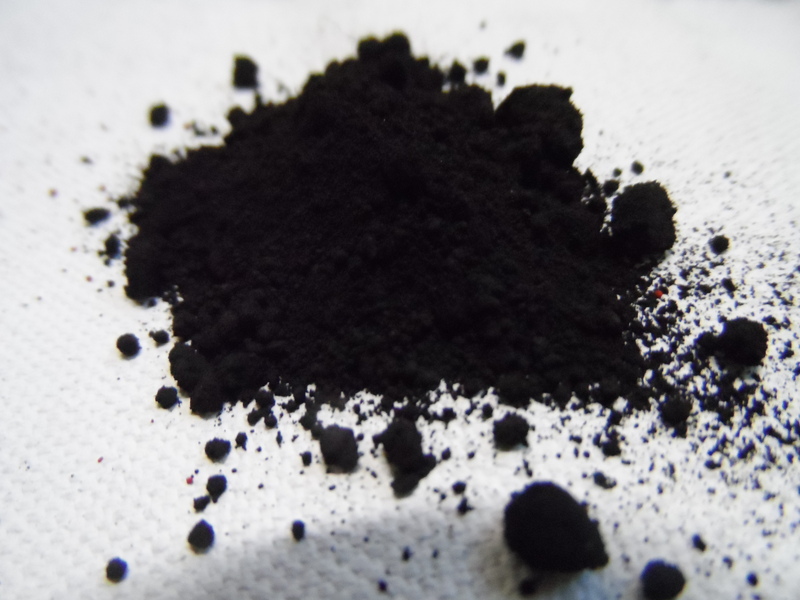 The last common darkest black used by the ancients is lamp black, which requires a much more intensive process of burning oil and collecting the soot off a copper utensil, the process just seems to intrusive compared to the inherent nature of burning bone or vine as an offering to the gods. Black is important to note because there is no true black in nature, black is just a dark colour usually of blue, green or red. When tinted with other colours it affects the overall colour of orphninos. We know from numerous accounts of ritual and theatre that chalk white was used to cover faces as masks. 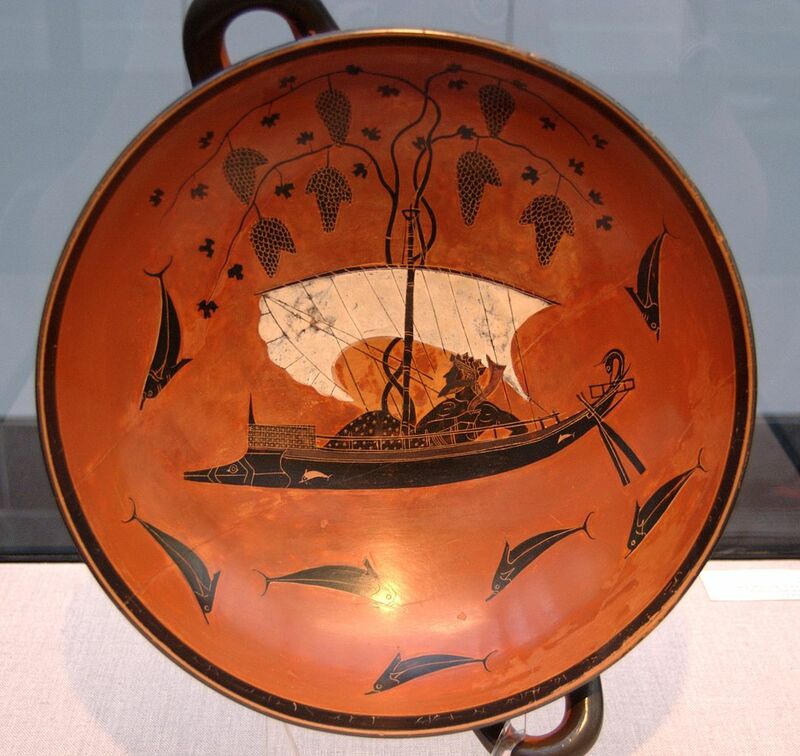 It holds a sacred significance in Orphic belief from the story of the death of Zagreus Dionysos, where the Titans used it to hide their features from the god child. Chalk is calcium carbonate which is petrified bone and shell that has gone through a compositionally changed process over millions of years. Like red ochre it is a common earth element that has been used extensively in ancient times until now. In Greece today houses and roads are still painted in chalk. 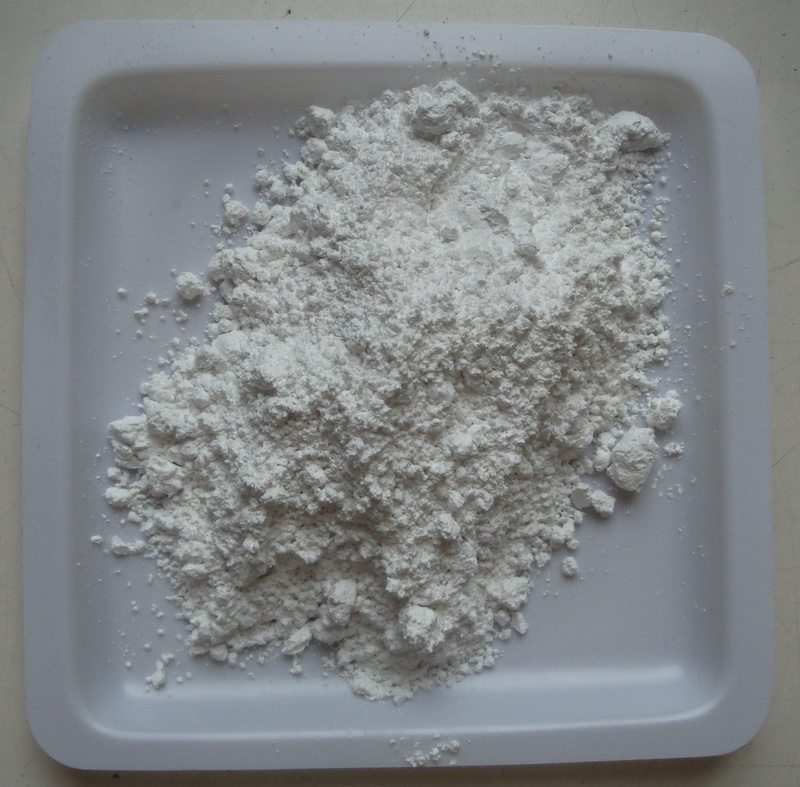 Chalk white is not an opaque white which means when exposed to water it becomes translucent and is a suitable filler and binder for other pigments. 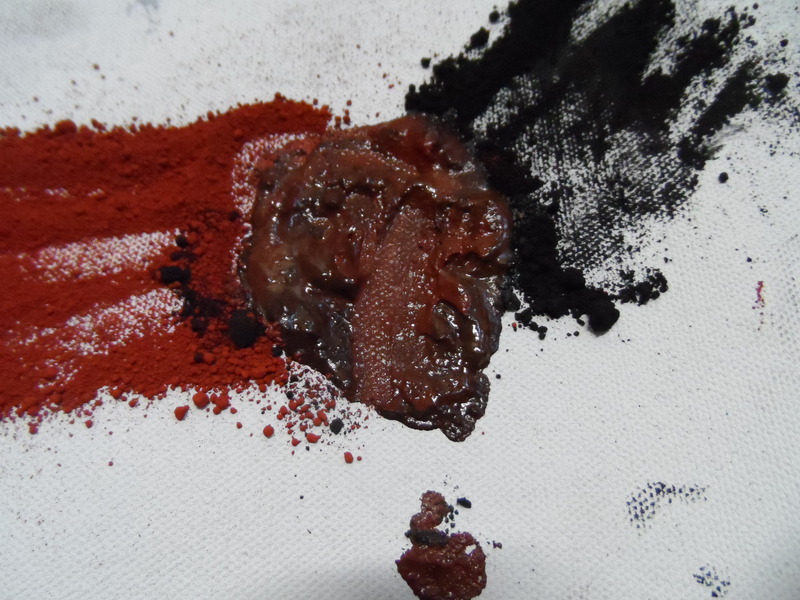 Therefore if it was mixed with ivory black and red ochre to make orphninos it would have only a slight effect on the overall hue, but as a binder it would develop into a paste and give the other pigments greater adhesive integrity. The hue would dry lighter than the paint and result in a uniformed matt finish. The only alternative white that is opaque is flake white (lead white) which was used by the Romans in cosmetics. But all accounts specifically state that the white used in ritual is chalk. So what is the colour of the “dusky dark” orphninos? Here’s the thing with colour theory, in ideal colour theory orphninos is a shaded red that has had its value saturated or desaturated by black and white. It’s always red, as it’s the only colour on the palette. In reality however chalk white and ivory black are colours and retain elements of that colour. For example: you can make green out of yellow ochre and black, a grey blue out of black and white. The colour value of ivory black maintains elements of blue or green and when mixed with red ochre it produces a muddy, warm grey purple. The tonal value of this grey can be manipulated by chalk. If another black is used, ie. Vine black this will affect the colour of orphninos. Below are examples of what it may appear as. Ideal colour**, Proposed orphninos with ivory black, far right which is a shade of pseudo ivory black (warm blue grey) and red ochre combined. Ideal colour, Proposed orphninos with vine black, far right which is a shade of pseudo vine black (cool green grey) and red ochre combined. For comparison, below is a digital spectrum colour test. Note the last colour on the right is a shade of spectrum red, it’s identical to the red in the centre but the value has been changed by the pure black and white. The warm grey area is what I propose is orphninos. The saturation value of this colour is changed by the addition of chalk. 2 The best professional grade art materials still have issues with light fastness. This means they are very susceptible to UV / sunlight and fade. 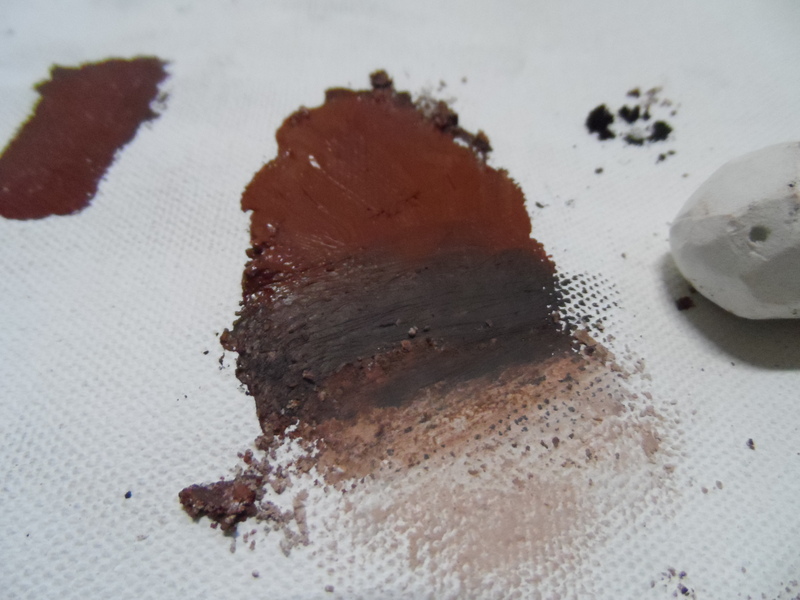 3 Some pigments are made out of compositionally opposite materials and do not mix well with other pigments. Resulting in muddy uncontrolled colours. 4 Art suppliers rip off artists and sell the same colours as a another colour with added white. Essentially diluted colours are pitched as different colours. You only know this if you know and check the pigment numbers of paints. Colour samples sourced from a paint manufacture hex no. comparison catalogue. Colours vary by manufacture. I chose the hues from the list and judged by my own knowledge of colours. The actual blacks in reality appear quite dark. An untrained eye would not know the difference between the blacks, but the hex is the colour translated through a computer and outputted by a light based screen, stripping away the darkness.